Artists We Love: Corina Nika's Picturesque Life - Genue Inc.Genue Inc. Designer Corina Nika has an enviable life. Living off the coast of Greece, on the unbelievably picturesque island of Kefaloia, Nika creates a variety of gorgeous goods (and design services!) from prints, to patterns, to branding. She started off as a small blogger, sharing her art and her life, and her career has since skyrocketed to huge successes with major brands! Nika started blogging a few years ago as a creative outlet during a not-so-creative stretch in her life, and found the format to be inspiring and a way to ﬁnd a bit of happiness. To get a peek at her blog, follow the link here! From there, Nika’s studio Cocorrina was born. I ﬁrst saw Nika’s work in the form of her multi-colored graphics and whimsical prints. Back then, I think the work I saw was some of her older prints. 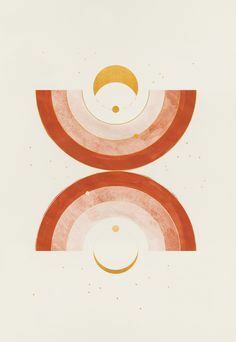 Because ever since, her aesthetic, while staying the same in a lot of ways, has been morphing into an elegant minimalist color palette with beautiful line work. 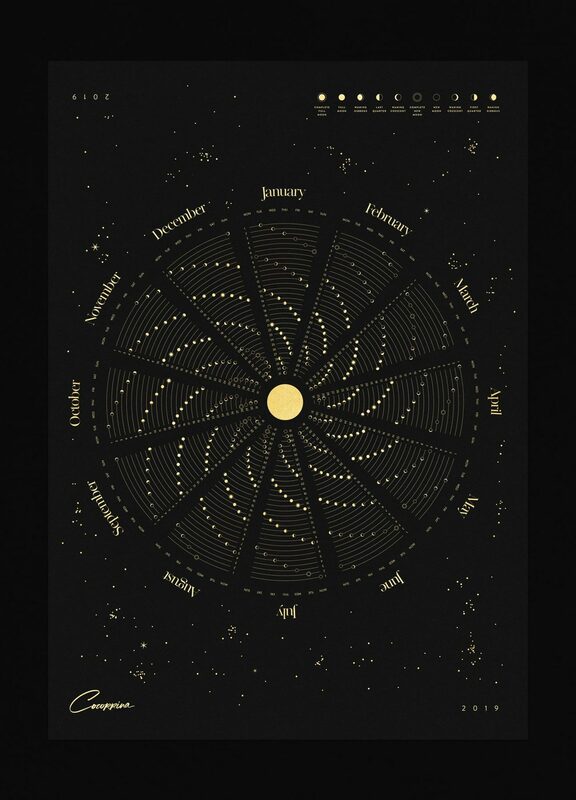 Nika’s 2019 Moon Calendar is a very of-the-moment product, but done in a thoughtful, reﬁned way. With simple gold on black imagery and a lovely layout, this work would be a perfect item to welcome home early in the new year! Other than her work for sale, Nika has partnered with some impressive names to create imagery and graphics for their individual brands. You can see her perspective on brands such as Papyrus, Elie Saab, Anthropologie, and Zara. All of these amazing names have all worked with Nika in the past – I can’t wait to see where her work takes her next! In the meantime, if you want some inspiration mixed with just a hint of envy, be sure to check out Nika’s social media accounts. 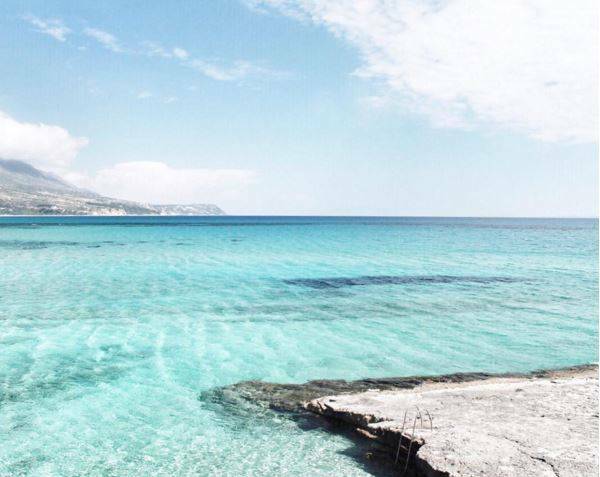 Let me tell you, as the days get colder and darker in my part of the semi-northern United States, an Island in the Mediterranean Sea is looking more and more blissful! Where do I sign up? Nika’s personal instagram account can be found @corinanika (for babies and scenery–so cute!) and her business and design account is @cocorrina.co. Give it a look for gorgeous eye candy and design inspiration! What do you think of Nika’s work? What is your favorite piece by her? Let us know in a comment below! If you’d like to continue reading Genue’s reports of inspiring and successful women in design, check out these great reads: Modern Heirloom Quilts created by Louise Gray, awe-inspiring textile installation art by Rachel Hayes, and beautiful hand-painted interior designs by Rebecca Atwood.